Yalorun uses the collection of donated and found fabric remnants to make custom in-house pre-cut quilt kits as well as our own art pieces. Each pre-cut is made entirely of vintage or one-of-a-kind remnants. Because your pre-cut is made with all found remnants from all over the world, this means that your finished quilt ( or art-piece as some people leave them as is) will be unique. Donating to your old fabrics to Yalorun is what makes the textile studio work. If you are a local, just show up at the store with the scraps & drop them off! If i’m not there just leave them at the front door. It'll be fine. Believe me, nobody but us wants your box of old corduroy pants. YaloRUN's extensive collection of fabric scraps and remnants. 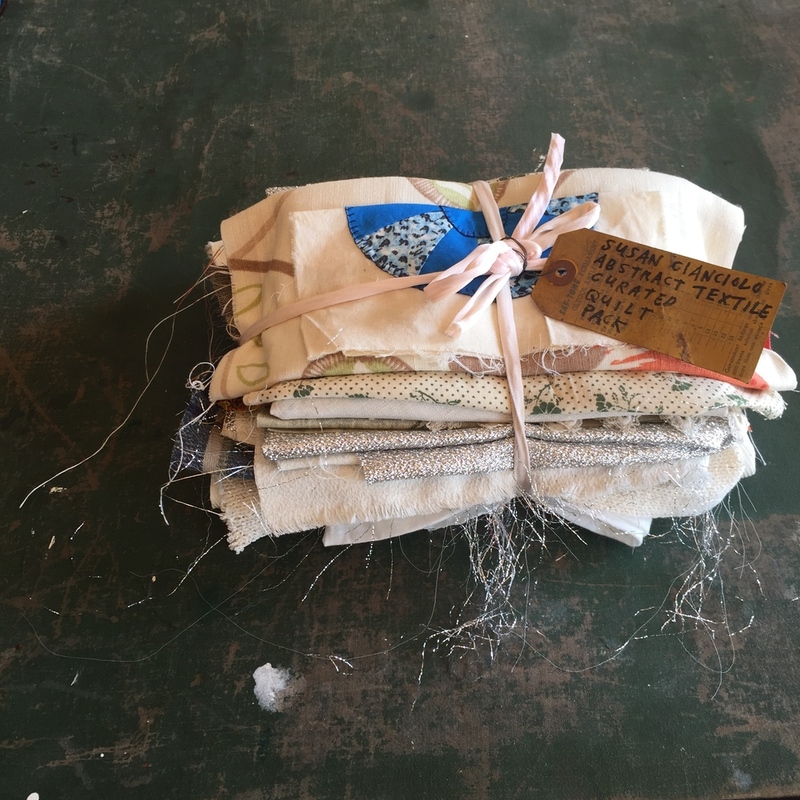 Yalorun’s fabric scraps and remnants come from everywhere ranging from a Salvation Army in Greenwood, MS to artists' fashion studios in New York to the chest of drawers of great grandmothers. And these remnants range in material from satin bed sheets to crocheted doilies to floral pillowcases from the 1970s to mens' denim work shirts covered in house paint. These fabrics are the basis of Yalorun’s purpose of textile experimentation, as there is a materially evidenced mystery in the human histories that worn fabrics bring.